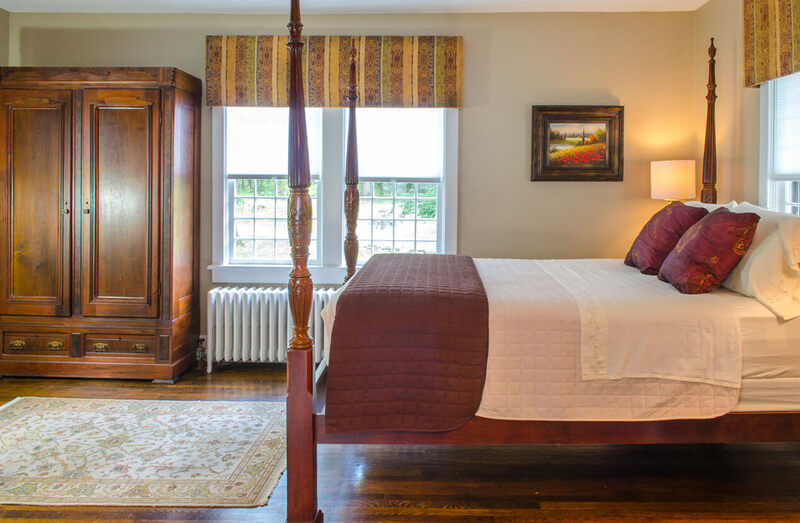 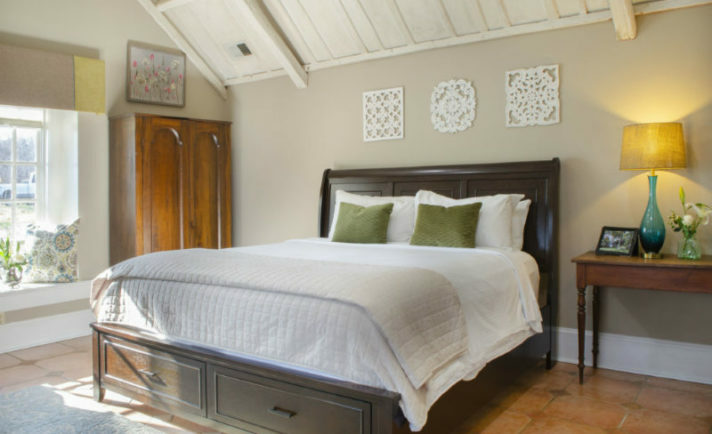 Named after General Bamford who built this beautiful home in the early 1920s, this antique-adorned suite is situated just off the living room at the far end of the Main House of our West Virginia bed and breakfast. 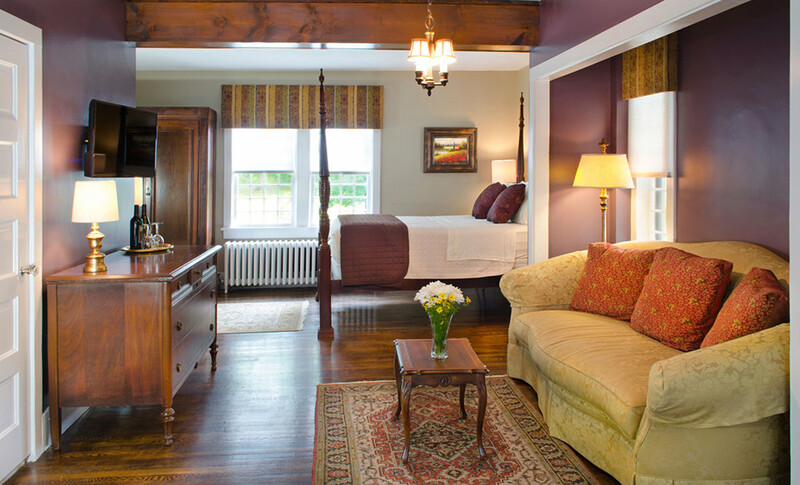 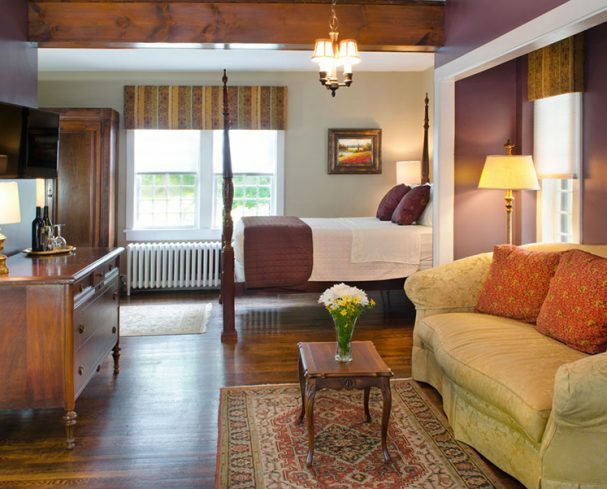 This vibrant room with plum accents is full of charm and character, featuring a electric fireplace, original glass windows, and paintings that have been collected by the innkeepers. 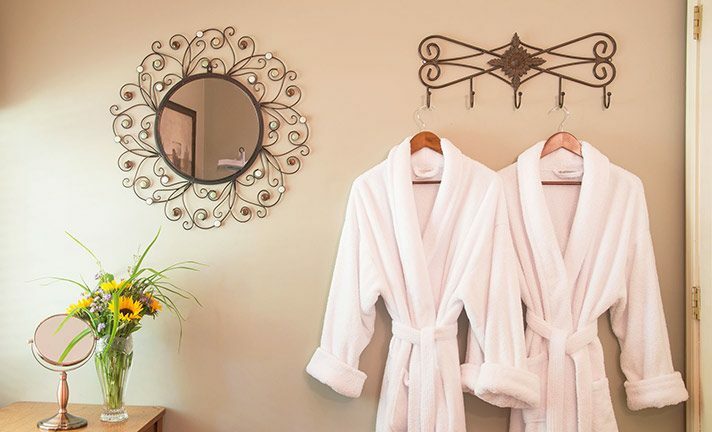 This spacious suite also has its own private porch and driveway, and is the only suite at our Charles Town WV hotel that has both an interior and exterior entrance. 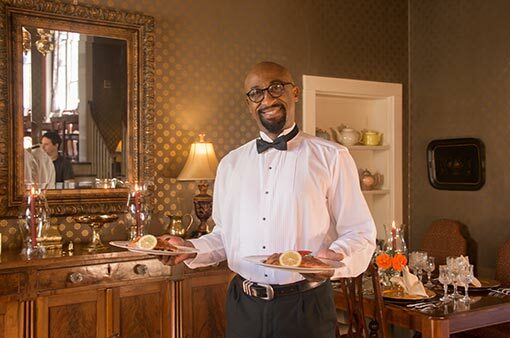 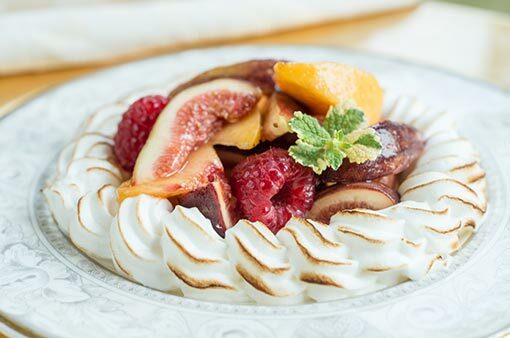 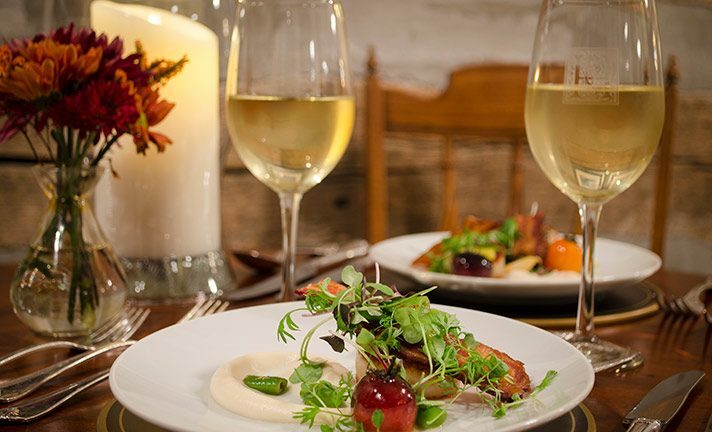 The refined palate will yearn for a taste of the Redbook Restaurant which serves pure ingredients from hand-picked farms to create impeccable dishes served in the Main Estate House.